Reflector Student was designed and created specifically for use in classrooms and schools. It helps students connect to Reflector Teacher over restricted networks. Once paired to a teacher computer, Reflector Student remembers the pairing to save time and prevent classroom distractions. 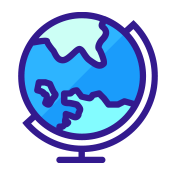 Students can also see every device connected to the teacher's computer from the comfort of their own desks and mobile devices. Available for iOS, Reflector Student is free to download from the App Store. Use Quick Connect Codes®, Bluetooth, QR codes or network auto-discovery to pair Reflector Student to Reflector Teacher. Any device connected to Reflector Teacher will appear in Reflector Student. From Chromebooks to iPads, they’ll appear! Reflector Student allows students to connect to Reflector Teacher in almost any environment. 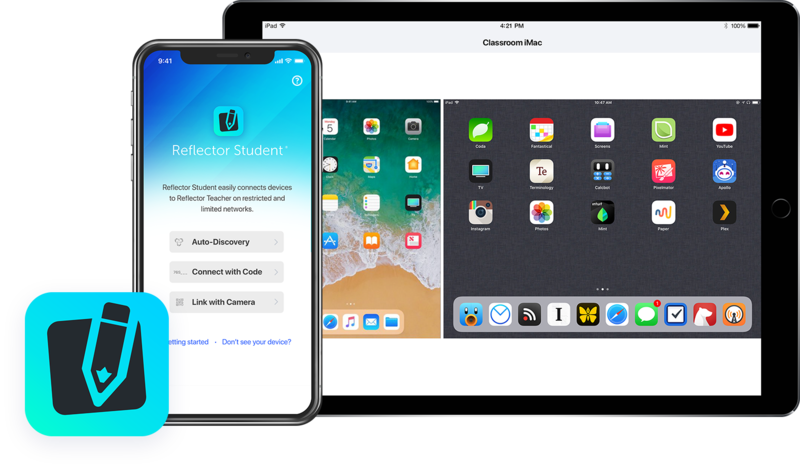 Using Bluetooth and network auto-discovery, Quick Connect and QR codes, students can quickly and easily pair with Reflector Teacher. Once paired, mirroring across subnets and tricky networks is a breeze. The paired destination will automatically show in the device’s AirPlay list. Once paired to Reflector Teacher, students can view every device screen connected to a teacher’s computer from within Reflector Student. No more squinting from the back of the room!